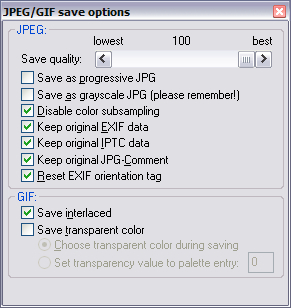 You need to know how to properly save images as a JPG or JPEG file in Irfanview because the default options do not give the best quality. I noticed this a few times — numerous screen captures pasted in Adobe Photoshop and saved at Quality 12 (highest quality) looked better than the same captures pasted in Irfanview and then saved at Quality 100%. It turns out that you need to remember to check the “Disable color subsampling” box. Doing this is compulsory if you want the highest JPG image quality. I strongly believe Irfanview should have come installed with this option checked as a default. What difference in quality, if any, can you perceive with the option On or Off? You’ll normally see the difference when there are tiny points of saturated reds in photos. 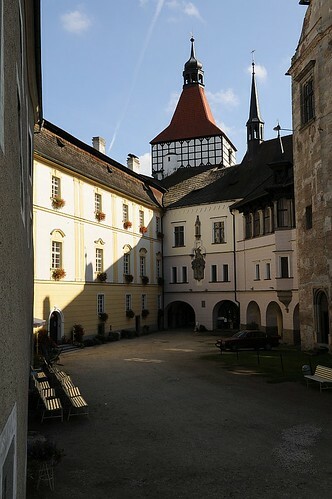 Take the following two images for example. By the way, the source photo is not mine, but a Nikon D300 test photo taken from the Makofoto.cz review of the camera — all credit and rights belong to the photographer. What I did with it was to resize the image to 900 pixels on the longer side and sharpened once in Irfanview. I then saved it twice at 100% JPEG quality, the first time was with Disable color subsampling switched Off (resulting in a lower quality, 426.51 KB image), and the second was with the option turned On (which gave me a 688.17 KB file). Toggle between both images and have a very close look at the red flowers on the left. Notice how the tiny points of red really pop out in the second photo? And how dull those same flowers appear in the first? Well, there’s your quality loss if you don’t turn the option on. If you want to know why only the red flowers seem affected, you might want to read about the theory of Chroma Subsampling in JPG Compression which basically points out that the algorithm focuses mainly on averaging color among a very small number of pixels in a square configuration (the example used in the article is a 2 x 2 pixel configuration).